The MBL Embryology Course trained students to work with a variety of vertebrate, invertebrate, terrestrial and marine organisms. Attributions: Chicken embryo: Armbien Sabillo, UC Berkeley. Mouse embryo: Eric Hastie, Duke University. 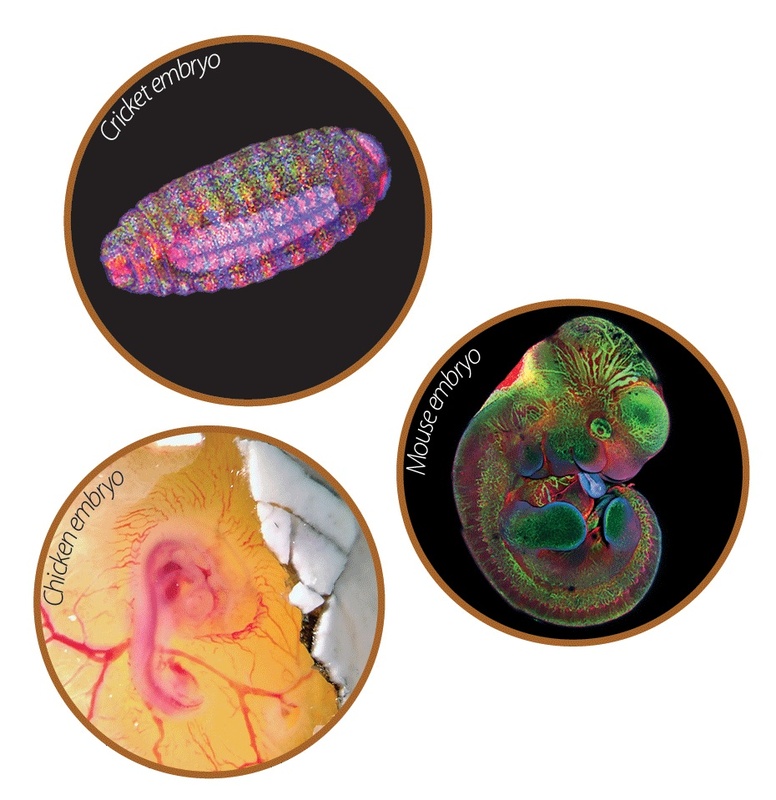 Cricket embryo: Akankshi Munjal, Harvard Medical School.